Learn how to make your own non-toxic natural skin care recipes for everyday beauty! 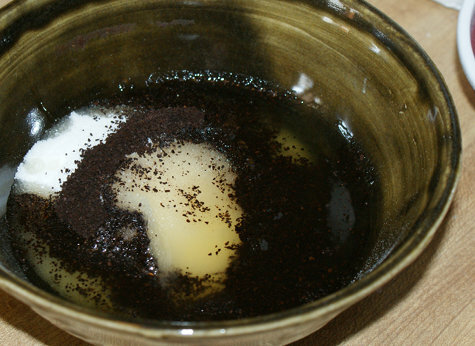 Three simple recipes for crafting a homemade coffee scrub, lip balm and foot soak. All with natural ingredients that you can find in your kitchen. 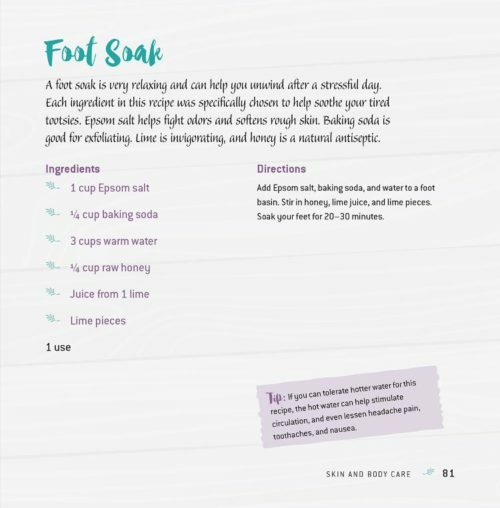 Plus discover more homemade beauty recipes in the book, Spa Apothecary: Natural Bath & Beauty Recipes, by Stasie McArthur. I started making my own bath and body products not long after graduating from college. It started with a simple brown sugar scrub, much like the original they sold at Bath & Body Works at the mall. Melt and pour soaps soon followed. I made a lot of mistakes when starting out. Even on simple projects like melt and pour soap. I once added too much cocoa butter to a soap base resulting in zero lather. I added dried lavender buds to another. They quickly turned brown and looked a lot like mouse poop. And while the internet is filled with a plethora of natural skin care recipes, access to reliable recipes and projects wasn’t quite the same as it is today. I’ve found that doing your research for skin care or soap making projects beforehand can really make a difference. It saves you not just time, but money as well. After all, no one wants to make something just to have to chuck it in the waste bin. I’ve never really been one of those people that can afford a regular trip to the spa. So making my own spa worthy skin care products is the perfect substitute. Not only do I enjoy a quality spa experience at home, but I’m always learning something new. 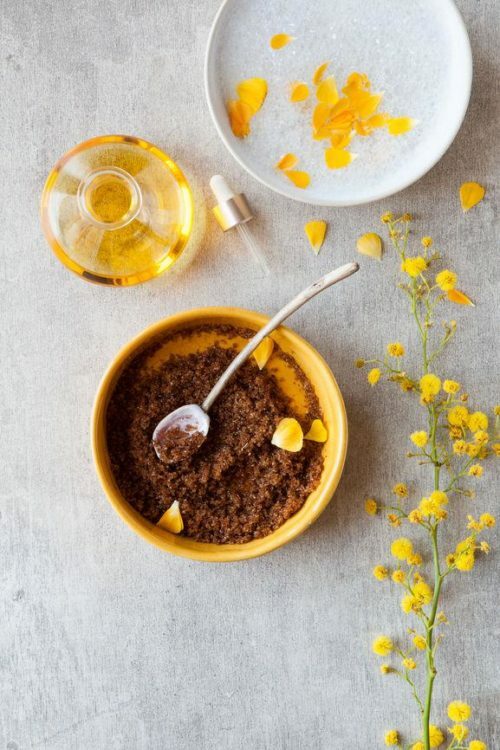 If you’re ready to start your own beauty adventure, then be sure to check out Spa Apothecary: Natural Bath & Beauty Recipes. A natural skin care recipes book by Stasie McArthur, this book is the perfect introduction to making natural skin care products at home. You can find most, if not all, of the ingredients you need for Stasie’s natural skin care recipes at your local grocery store or co-op. So you don’t have to fool with investing a lot of money in specialty ingredients you can only find online. Her recipes also make it easy to avoid costly beginner mistakes. You’ll discover not only how simple and affordable it is to unwind at home, but you’ll also learn a new craft. All without an expensive trip to the spa. Ready to make your own natural skin care products but aren’t sure where to start? Then this book is perfect for you! Inside you’ll find a variety of natural skin care recipes to make at home in addition to helpful tips and information about the ingredients used. Plus, you’ll also discover little quips about the author’s life and friends along the way. Keep reading to discover three natural skin care recipes from the book, Spa Apothecary. Then be sure to purchase a copy of Spa Apothecary to learn how you can make the switch to a healthy natural skin care routine! Yields 4 to 6 uses. Combine the coffee, sugar and carrier oil in a large glass mixing bowl. Mix until all ingredients are thoroughly combined. Next, puncture the vitamin E softgels (just like the supplements you take to support healthy hair and skin!) and mix into the coffee scrub. 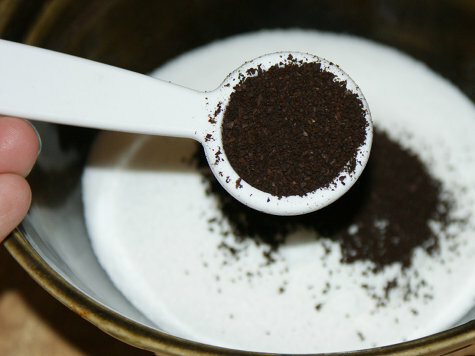 Spoon the coffee scrub into a mason jar or similar container for storage. To use simply massage onto damp skin, then rinse off. 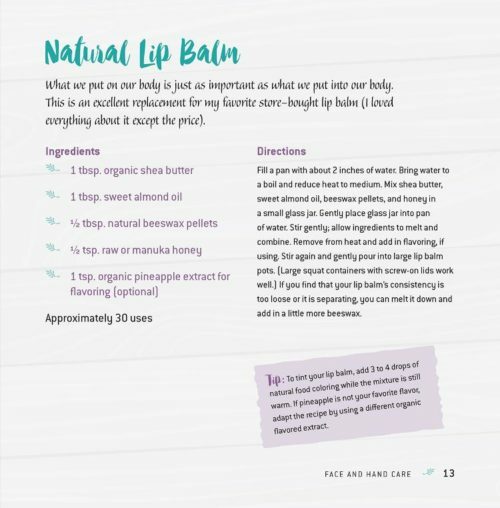 You’ll use the double boiler method to make this natural lip balm recipe. To do this, fill a pan with about two inches of water. Bring the water to a boil, then reduce the heat to medium. Now mix together the shea butter, sweet almond oil, beeswax pellets and honey in a small glass jar. Gently place the jar into the pan of water, gently stirring the ingredients as they melt. Once melted, mix again to ensure all ingredients are evenly combined. Then remove from heat and stir in the flavoring. 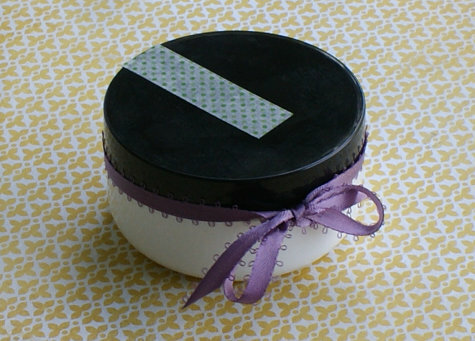 Finally, pour the lip balm into large lip balm pots such as metal tins or low profile jars. Once your lip balm has cooled and is fully solidify, it’s ready to be used. 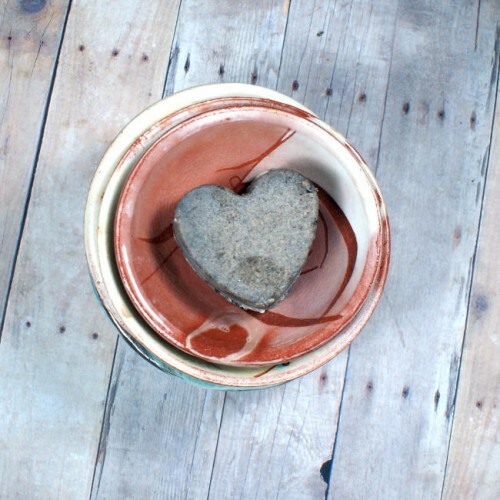 Add the Epsom salt, baking soda and water to a foot basin. Then stir in the honey, lime juice and lime pieces. Soak your feet in the bath soak for 20-30 minutes, then remove and pat dry. Ready to get your feet wet and start making your own natural skin care recipes? 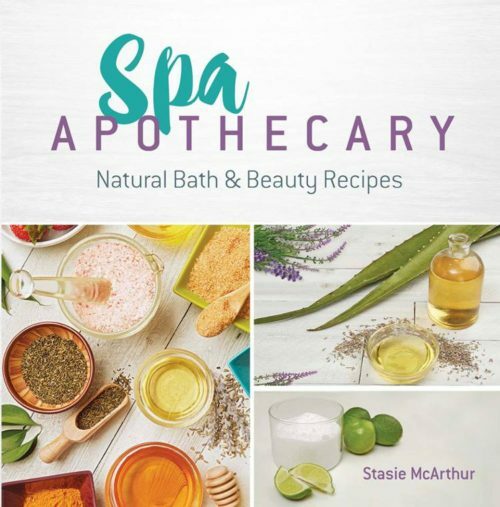 Then check out Stasie McArthur’s book, Spa Apothecary: Natural Bath & Beauty Recipes, to get started today! For more natural skin care recipes and project ideas, you can follow Soap Deli News on Blog Lovin‘, facebook, twitter and instagram. Or sign up for my semi-weekly newsletter. This cardamom and pumpkin spice solid coffee scrub recipe makes a wonderful holiday gift idea. It’s made with real pumpkin spice coffee, exfoliating pink salt and sugar, and moisturizing cupuacu and cocoa butters to keep your skin glowing and looking healthy all winter long! 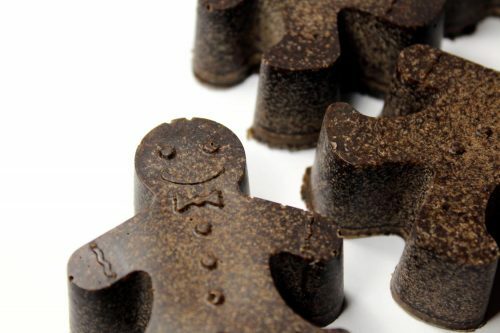 You’ll need a six-cavity silicone gingerbread mold for my cardamom & pumpkin spice solid coffee scrub recipe. 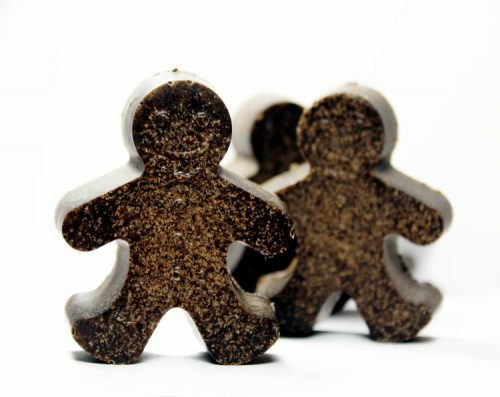 This recipe will yield four solid gingerbread shaped coffee scrubs. Using a digital scale, weigh out the butters into a large glass Pyrex measuring cup. Heat in the microwave at 50% power until melted. (Alternately you may use a double boiler.) Set aside. In a separate glass container weigh out the spices, coffee, salt and sugar. Use a fork to mix the dry ingredients until they are thoroughly combined. Now weigh out the fragrance oil and stir into the melted butter mixture. Mix to combine. Slowly pour the dry ingredients into the wet ingredients and mix. 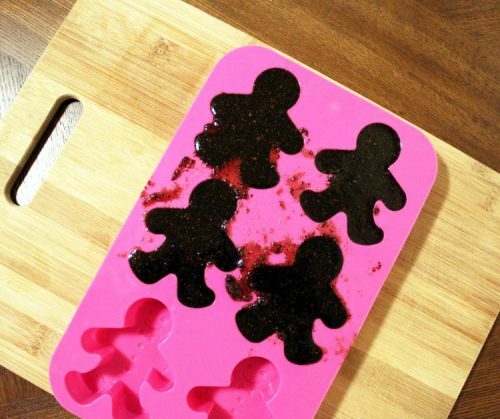 Once the ingredients are evenly distributed throughout, pour the mixture into four of the gingerbread shaped cavities of your silicone mold. Once you’ve unmolded your solid coffee scrubs, wrap them tightly in foodservice film or place them individually into cello bags for gifting. If you are making my cardamom & pumpkin spice solid coffee scrub recipe to sell, you’ll need to label your solid coffee scrubs appropriately to meet state and federal laws. If you’re unsure about the rules and regulations regarding labeling cosmetics, I highly recommend the book, Soap and Cosmetic Labeling: How to Follow the Rules and Regs Explained in Plain English, by Marie Gale. 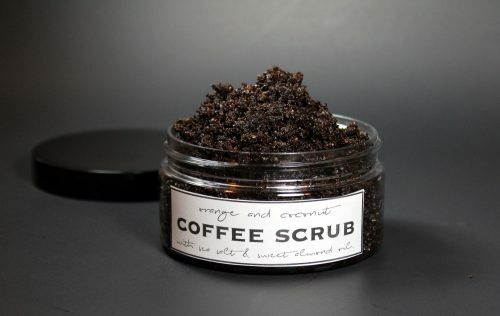 To use your solid coffee scrubs, simply massage the bar – or a piece of the bar – onto wet skin in a warm-hot shower. Then rinse and pat dry. 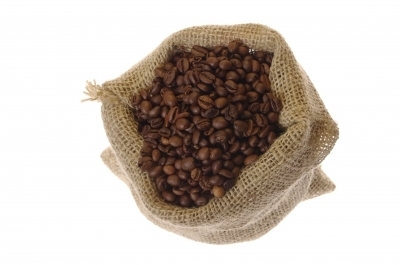 Be sure to store your solid coffee scrubs in a cool, dry location when not in use to extend the life of the product. Live in a warmer climate? 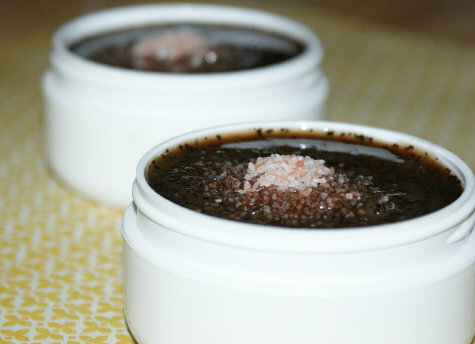 Make these solid coffee scrubs so they have a slightly higher melt point by making the following changes to my cardamom & pumpkin spice solid coffee scrub recipe: 1.5 oz. of shea butter (instead of 2 oz.) and 1 oz. cupuacu butter (instead of .75 oz.) This will also make them more shelf stable for shipping purposes. For more of my homemade natural skin care recipes, be sure to follow me on Pinterest, G+, Tumblr, Facebook, Twitter, Blog Lovin’, and Instagram. Or sign up to receive new posts to your email via FeedBurner so you never miss a post. Learn how to make your own homemade moisturizing coffee scrub recipe that won’t clog pores as well as about alternative non-comedogenic ingredients you can substitute. In addition to this moisturizing coffee scrub recipe, I’ve also provided two versions of printable labels you can use for your finished coffee scrubs so can give them as homemade gifts! You may recall my previous recipe for making an orange and coconut scented coffee scrub recipe without coconut oil. Within the content of that blog post, I explained why you don’t want to use coconut oil in your body scrubs. Coconut oil has a fairly high comedogenic rating of 4. This means that it can clog pores and cause acne when used. So I crafted a moisturizing coffee scrub recipe that used sweet almond oil in lieu of coconut oil. Sweet almond oil has a comedogenic rating of 2, which is moderately low, and contains essential fatty acids as well as vitamins A and E. It’s also an effective emollient for moisturizing and is easily absorbed by the skin as well. In addition to the mango butter in my moisturizing coffee scrub recipe, I also used unscented liquid Castile soap to help aid in washing everything off at the end of your shower, while still leaving your skin moisturized and soft. If you find the mango (or shea butter) makes this scrub difficult to wash off you or your tub – FYI you can get rid of stains in a snap with a smidge of Dawn dish detergent – then you can substitute the mango butter with liquid Castile soap. Or, to keep the extra moisturizing properties of this coffee scrub recipe, you can simply substitute the mango butter with another carrier oil. Carrier oils with a comedogenic rating of 0 – meaning they are non-comedogenic and won’t clog pores at all – are argan oil, hemp seed oil, sunflower oil and safflower oil. Aloe vera gel also has a 0 comedogenic rating, though if you’re using it in your coffee scrub, then you’ll definitely need to add a preservative. Carrier oils with a comedogenic rating of 1, which is considered low, include emu oil, neem oil, pomegranate seed oil, rosehip seed oil, and sea buckthorn oil. Neem oil, while a fabulous carrier oil, has a strong nutty, garlic like odor. So if you choose to use neem oil in your coffee scrub, then use it as only a small portion of the recipe with another carrier oil making up the bulk. Your fragrance would then be able cover up the smell of the neem oil. The same would go for sea buckthorn oil. While sea buckthorn oil doesn’t have an offensive odor, it’s likely to dye your skin orange when used in high concentrations. It’s also a lot more expensive, so you’ll want to use this one sparingly in conjunction with another carrier oil making up the bulk of the recipe. And finally, carrier oils with a comedogenic rating of 2, or a moderately low chance of clogging pores, include sweet almond oil (previously mentioned), apricot kernel oil, avocado oil, borage oil, baobab oil, evening primrose oil, grapeseed oil, hazelnut oil, jojoba oil, peach kernel oil, pumpkin seed oil, sesame oil and tamanu oil. Using a digital scale, weigh out the ground coffee, salt and sugar. Combine in a glass bowl or large glass Pyrex measuring cup. Mix the dry ingredients together with a fork to ensure even distribution. Now weigh out the mango butter and place in a glass Pyrex measuring cup. Heat at 50% power in the microwave until melted. Alternately, you can also melt the mango butter in a double boiler. Next, weigh out the Castile soap, fragrance oil and essential oil. Stir into the melted mango butter and mix well to combine all the ingredients. Spoon the dry ingredients into the wet ingredients and mix well, using a fork to whisk all of the ingredients – wet and dry – together until they are combined thoroughly. Now spoon your moisturizing coffee scrub into two clear plastic 8 oz. low profile jars. Alternately, you can also use two 8 oz. High Barrier Kraft Paper Stand up Zipper Pouch Bags. You can also use traditional pantry jars, which are classic wide-mouth, clear glass jars with a rubber gasket seal and easy-to-use clamp down lid. If you’d like to add my moisturizing mango butter coffee scrub labels (pictured) you can download the PDF for these printable labels here. Print the PDF file onto a full size white label sheet. (I got my labels from WorldLabel.) Cut out the labels, remove the backing and adhere to the front of your containers. Prefer to make an oil free coffee scrub? You easily create your own “foaming” and exfoliating oil free coffee scrub recipe by simply using 3 oz. of unscented liquid Castile Soap in the moisturizing coffee scrub recipe above (in place of the 2.25 oz. of liquid Castile soap) and omit the mango butter entirely. 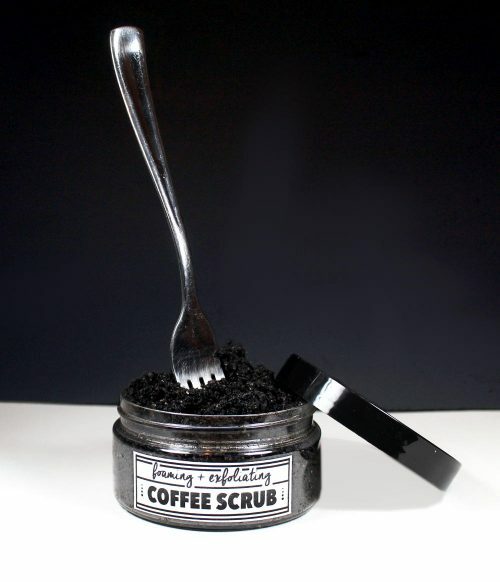 The resulting coffee scrub will have a cleansing effect and a low lather in addition to exfoliating skin. 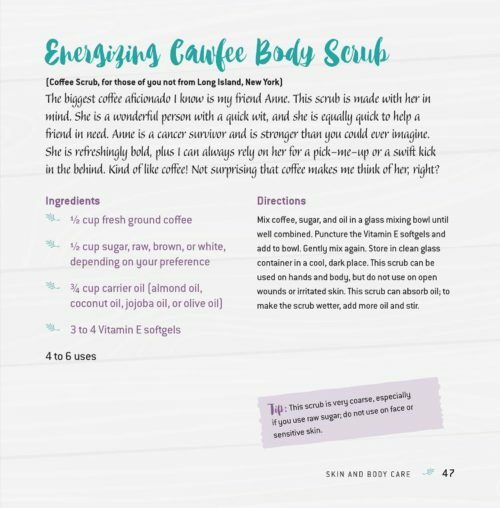 If you’d like printable labels for this alternate version of my coffee scrub recipe, you can download the PDF for these printable labels here. Print the PDF file onto a full size white label sheet. Cut out the labels, remove the backing and adhere to the front of your containers. 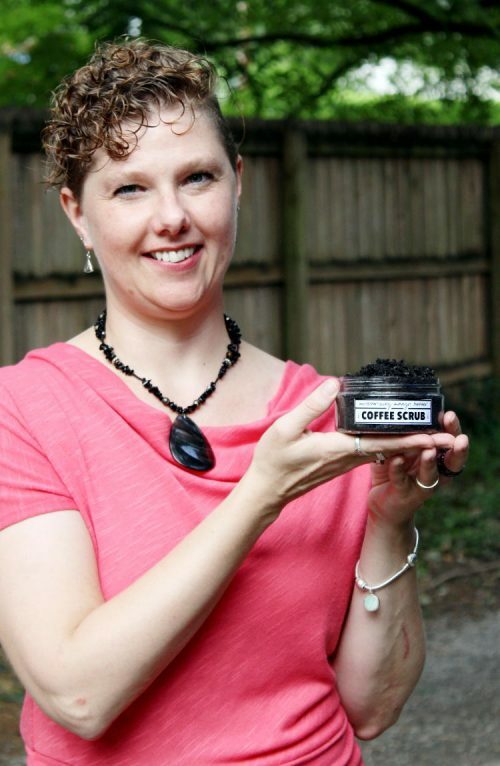 As in some of my more recent blog posts, my friend, Bambi, graciously “modeled” this coffee scrub for me. In addition to helping me out with my own projects, Bambi also makes and sells her own beaded jewelry in her Etsy shop, Happy Tree Frog Studios. She also makes and sells the beaded rings you can see on her middle finger in the top most photograph within this post. In addition, if you like my moisturizing coffee scrub recipe with mango butter, then you may also like these other soap and skin care recipes for making your own caffeinated melt and pour soap, cardamom & spice solid coffee sugar scrub (pictured), homemade cold process coffee soap, coffee & bourbon vanilla handmilled soap, natural coffee under eye cream, and homemade coffee flavored lip balm. For more of my bath and body recipes that also have free printable product labels, visit Soap Deli News blog here. 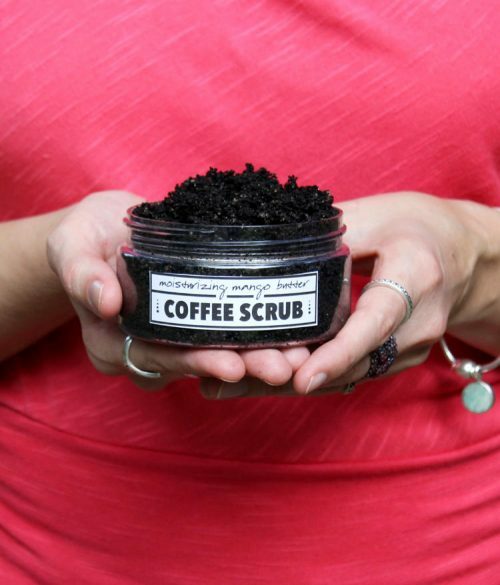 Don’t have time to make your homemade coffee scrubs? You can buy them instead! 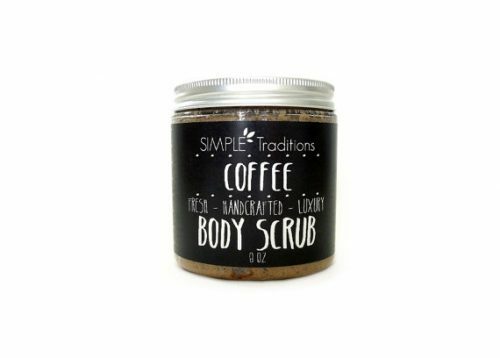 Some of my favorite homemade coffee scrubs on include Simple Traditions’ Exfoliating Coffee Scrub (pictured), Wild Appalachian’s Exfoliating Coffee Scrub, Urban Soapsmith’s Java Head Coffee Butter Sugar Scrub, Symbolic Import’s Coffee Sugar Scrub Cubes and Skin By Pure’s Organic Coffee Body Scrub crafted with non-comedogenic hemp seed, rosehip seed and jojoba oils. To keep up with all of my new creations and recommendations, be sure to follow me on Pinterest, G+, Tumblr, Facebook, Twitter, Blog Lovin’, and Instagram. Or sign up to receive new posts to your email via FeedBurner so you never miss a post. Do Mondays get you down? Well, say goodbye to those Monday morning blues and turn your Monday into a fun day with this DIY Natural Coffee Sugar Scrub Recipe. It’s the perfect start to your Monday morning shower! This easy to craft all natural sugar scrub contains real coffee grounds for a caffeine kick to get you moving and a blend of grapefruit, frankincense and bergamot essential oils for an aroma-therapeutic shower experience. Grapefruit essential oil is known to be aroma-therapeutically uplifting and helps with depression, headaches, mental exhaustion and physical tiredness. Frankincense essential oil soothes anxiety and helps to rejuvenate aging skin, while bergamot essential oil helps to ease tension, anxiety and depression. It’s also good for treating wounds, eczema and psoriasis! Combine them all and you’ve got some ooh la la, wake me up skin loving, exfoliating awesome as part of your Monday morning routine! Here’s how you make it! Directions: This recipe was created to be super simple with no scale needed to weigh ingredients! Start by combining the sugar and coffee into a bowl. Next, measure out your olive or rice bran oil and add to the sugar and coffee mixture. Measure out 1mL of grapefruit essential oil using a graduated plastic pipette and add to the scrub. Follow by adding ten drops each of frankincense and bergamot essential oils. Stir well. Scoop the finished sugar scrub into one 4 oz. container or into two 2 oz. containers. (I used two 2 oz. containers for my scrubs.) Sprinkle the top with a bit of Pink Himalayan Salt which is revered for its therapeutic properties relief contains 84 trace elements and iron and is known to assist in relief of arthritis, skin rashes, and psoriasis. Your homemade sugar scrubs are now ready to use and enjoy. Or gift them for birthdays and holidays! I think these make super sweet wedding favors as well as much pined over stocking stuffer gift ideas for anyone who appreciates homemade bath and beauty products! Mix all ingredients together. Take a hot shower to moisten your skin and open your pores. 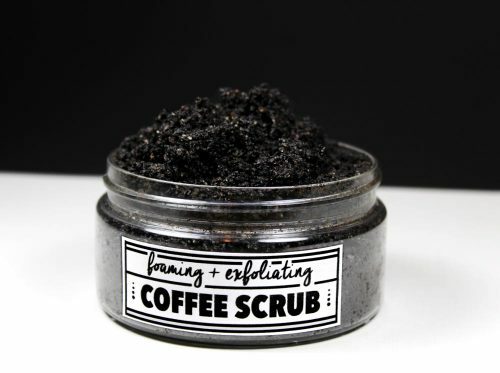 Using wide, circular motions, rub the coffee exfoliant onto your skin with strong, even pressure. Shower off, pat skin dry, and apply a thin layer of your favorite body lotion. *We’ve tried this with used coffee grounds from our coffee maker and it worked just fine. After all, you’re after the exfoliating effect and the fact you’ve used the grounds to brew coffee doesn’t lessen this effect. It also makes them a tad softer. Consider it a new form of composting and recycling!